This year's Lent Course runs on Wednesday evenings, from 13th March to 10th April. We meet in the Lounge at Hanover at 7.30pm, and will finish by 9.15pm. The United Society for the Propagation of the Gospel has produced a free booklet that we'll be using, in we which we listen to and reflect upon the prophetic voice from India. Each evening will consider a different theme. The five-week study course looks at the radical nature of the gospel, with a special focus on the church in India. "We might think the prophetic voice belongs to the Old Testament, but we want to show there are still many prophets to be found throughout the world church today. "The prophets’ voices are challenging because they alert us to issues we might want to ignore - they call us to be like Jesus, who stood on the margins, comforting the oppressed and challenging those who are comfortable." Study 1: Community – inspiring congregations to be dynamic in mission. Study 2: Injustice – taking action to combat human trafficking. Study 3: Gender – a skills training programme is giving women a new lease of life. Study 4: Climate – schools are inspiring a new generation to care for the environment. Study 5: Hope – giving hope to India’s marginalised Dalit and tribal peoples. What is the spiritual world, and how does it impact my life? 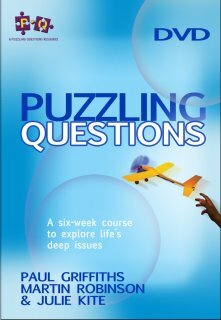 Peter and Cathy Nicholls will be leading conversations at their home in Hethel every Monday night, starting Monday 28 January, spending an evening on each of these 6 puzzling questions. An opportunity to explore some of life's deeper issues.